Dream Pod 9: Venus Update: Huang-Ti, Chieftain & Imperator Spaceships - Plus Reinzi Bomber Squad! We got the updated Reinzi Bomber with the wings as separate parts 3d printed, cleaned up, and Task 8 resin copies cast. 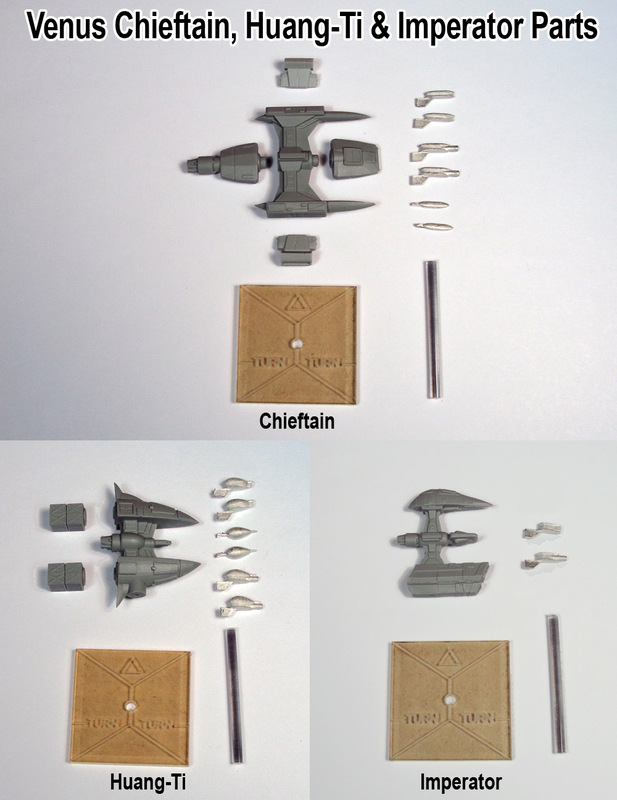 This week we made the vulcanized rubber mold and started casting up the Reinzi Bomber squad pewter minis, checkout the photos below to see how it turned out. 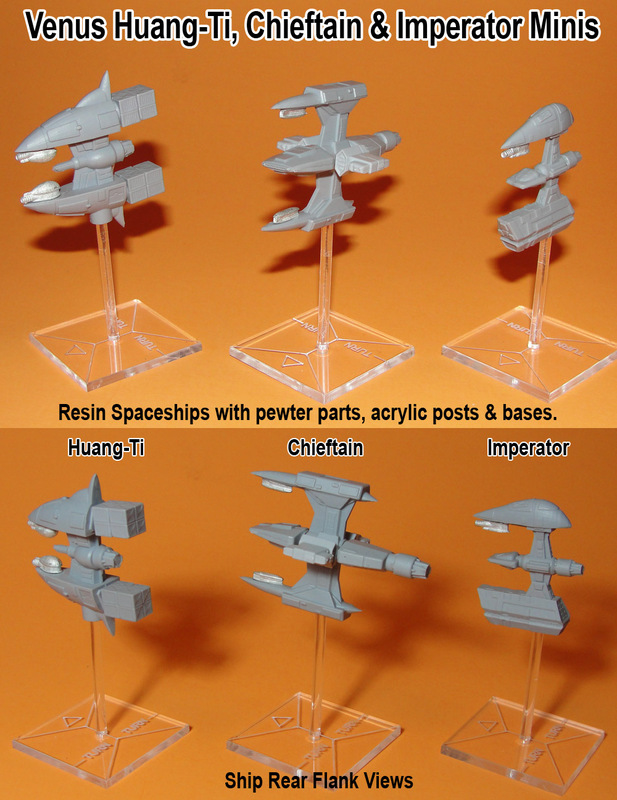 The Shan Yu, Tsar, and Gao Tzu spaceship molds are being finished up this week and we'll have photos of the ships and parts in our next Venus Kickstarter update. 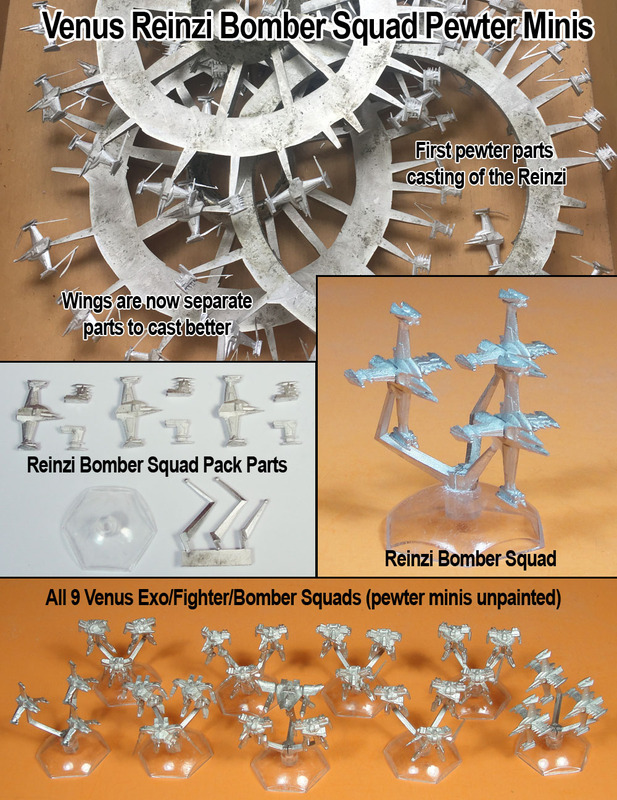 Home › Blogs › Robert Dubois's blog › Venus Update: Huang-Ti, Chieftain & Imperator Spaceships - Plus Reinzi Bomber Squad!